Please do not forward any mail to me after the receipt of this letter. I am going up to Quebec3 next week4, and will be in New York5 very shortly. So hold all my letters at the office, please. 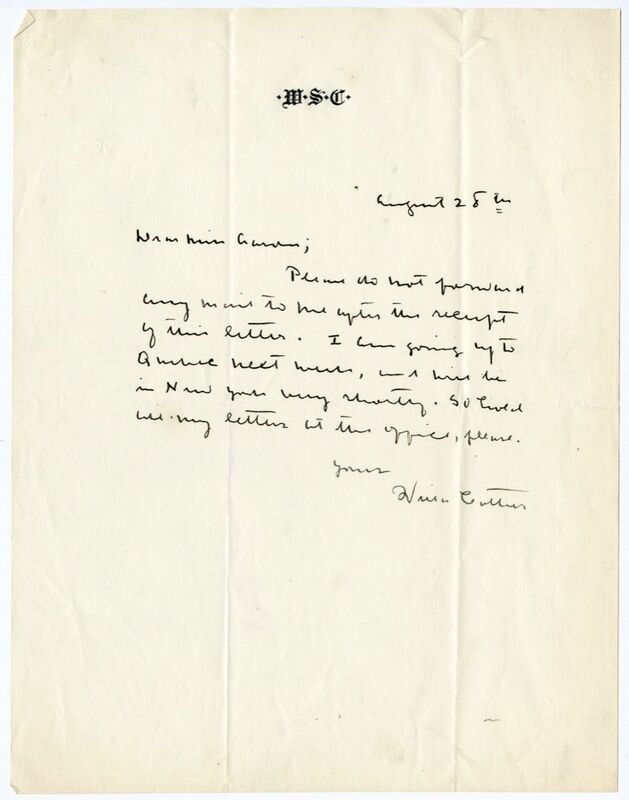 The year of this letter is established by Cather's reference to an imminent trip to Quebec, which she took in 1928. Willa Cather and Edith Lewis hasd traveled to Grand Manan via Quebec in June 1928. When Lewis fell ill with influenza, Cather wandered Quebec City and read books about the history of French Canada in the Hotel Frontenac Library, inspiring her to write Shadows on the Rock (1931), which is set in seventeenth-century Quebec. She was likely planning to return to Quebec for research.